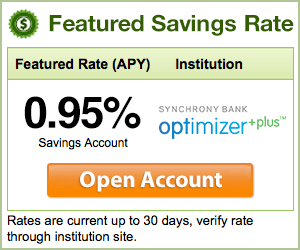 Home / Blog / How Can I Get a Lower Interest Rate on My Credit Card? Are you paying more in credit card interest than seems fair? If so, you may want to consider calling your credit card company. Although it may seem too good to be true, simply calling your credit card provider and telling them that you are unhappy with your current interest rate can get them to lower it. Credit card issuers want to keep their customers happy, so as long as you have a good payment history and your balance is low, most card issuers will be eager to please you to keep your business. How should I go about asking them? The first thing to do is review low interest credit card offers that are available to you. Take a few minutes to write down any offers you have received from competing banks. These offers can serve as very effective negotiating techniques. If you always pay on time, have a good credit score, or are a long time cardholder, be sure to mention it to the customer service rep. It is also important to mention any low interest credit card offers that you have received. Politely let them know that you would like them to match the offers. If you don’t get the answer you like the first time, hang up and call back 15 minutes later or ask to speak to the supervisor. State your case again, and emphasize that although you may not want to, you may be forced to take your business to another bank. It may take persistence and many calls, but a customer service rep or supervisor will usually give in to your demands. If the rep or supervisor does agree to lower your interest rate, thank him or her and get all of the details about your new interest rate. How much is it? Is this a short-term promotional offer or your new APR? How long will it take until this interest rate goes into effect? Know all the details about the new offer before you agree to it. If worst comes to worst and you have tried multiple times and are still being told no, think about a balance transfer card or taking your business to another bank. If the low interest credit card offers are much better deals, you may want to get it. And with a balance transfer credit card, you can consolidate all your debt onto one card and eliminate interest rates for an extended period of time. Most credit card issuers will give you a lower interest rate if you make the time and effort to ask them. So if you feel that your credit card interest is too high, follow these tips, call your issuer, and give it a try!